Please se the Streetdance videoclips here: V.g. se videoklippen här för att se hur Streetdance kan se ut: Streetdance 1 and Streetdance 2! As long as there has been music human beings have danced it. With new musical styles, new dances are born and it has continued this way into our time. Streetdance (Street Dance) is a common name for several dance styles which all have their origin from the "street" where youngsters often challanged eachother with new cool and sometimes acrobatic "mooves" which fitted well into the Pop, Hip Hop, Soul, R&B and Rap music. 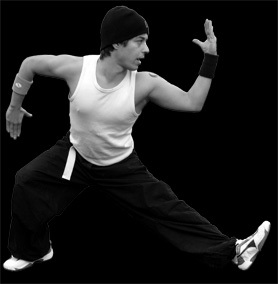 The attitude, the joy and the personal style therefore dominates the expressions in Street dancing. Within Streetdance you can find influences from Jazz, Locking, Poping, Hip-HOp, Swing, Breakdance, Funk etc. There are no certain rules for what Streetdance should look like. All the streetdancers have to find their own personal style which they can be proud of. Our dance lessons start with warming up through excersises that improve our vigility and strength. We then continue with different step combinations and choreographys. At the end of the course we will be ready to have a show for the other dance students at Studio-Ks graduation party. We wish you a fun time with us!